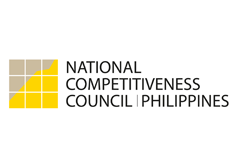 The National Economic Development Authority (NEDA) is confident that the Philippines will continue its ascent on the International Institute for Management Development's (IMD) World Competitiveness rankings. The country climbed up to No. 38 from No. 43 in 2012 out of 60 economies reviewed and is the biggest gainer among Association of Southeast Asian (ASEAN) countries. IMD, a top-ranked global business school based in Switzerland, released the list Wednesday. After announcing a 7.8 percent gross domestic product (GDP) growth in the first quarter of 2013, NEDA Director General and Socioeconomic Planning Secretary Arsenio M. Balisacan said in a press briefing Thursday that they expect the ratings to improve even further if the kind of growth the economy is experiencing is maintained throughout the year. “If you look at the indicators of competitiveness, how high your economy is growing; how much you are investing in infrastructure; what is your tax effort, nag-iimprove talaga tayo (we are certainly improving) so it’s not surprising that our competitiveness rating improves,” Balisacan said. A statement from the Department of Trade and Industry said the Philippines ranked 11th in Asia Pacific countries, up from 13th in 2011 and 2012, overtaking Indonesia and India. The country improved its ranking in three out of the four factors – economic performance (from 42nd to 31st), government efficiency (from 32nd to 31st), and business efficiency (from 26th to 19th). The double-digit improvement in economic performance can be attributed to big gains in real GDP growth (2nd, up 23), growth in exports of goods (6th, up 53) and international trade (30th, up 25). The 6.6 GDP growth in 2012 boosted overall productivity growth (4th, up 43) measured as change of real GDP per person employed. The country is also ranked 5th (up two) in stock market performance. However, the country's ratings went down seven places in employment (29th) and is ranked 59th in the level of overall productivity (down one) and labor productivity (down two). On employment, Balisacan said they are aiming to generate 1-2 million jobs every year. “Our labor force is increasing by one million every year so for us to be able to reduce the unemployment rate and the number of the underemployed, we need to be generating more than that number,” Balisacan said. He added that they will focus the economy more on potential job-generator sectors like infrastructure, manufacturing, agriculture, tourism, logistics, business process outsourcing/information technology, ship building, housing and the halal food industry.